Although family life was quite different in colonial times, the family unit was as important then as it is today. Not only did families teach morals, manners, and discipline, but families were also the primary means by which communities handled problems. The functions of individual members of the family differed between wealthy and poorer families. In poor and rural households, the family unit as a whole was more responsible for the daily operation of the family's household and business. In wealthier households, the father ran the family business, and the servants did the daily household chores. In all colonial families, the father served as head of the family. He held the title of wage-earner and disciplinarian. In most families, particularly those in rural areas, fathers played the role of the religious heads of household, setting a standard by leading the family in daily prayer and guiding them in proper religious and social behaviors. A father's role as the provider also extended to his hobbies. Men of all social classes engaged in hunting and fishing, providing food for their families. When it comes to the basics of parenting, fathers had little responsibility, aside from discipline, until the children were older. 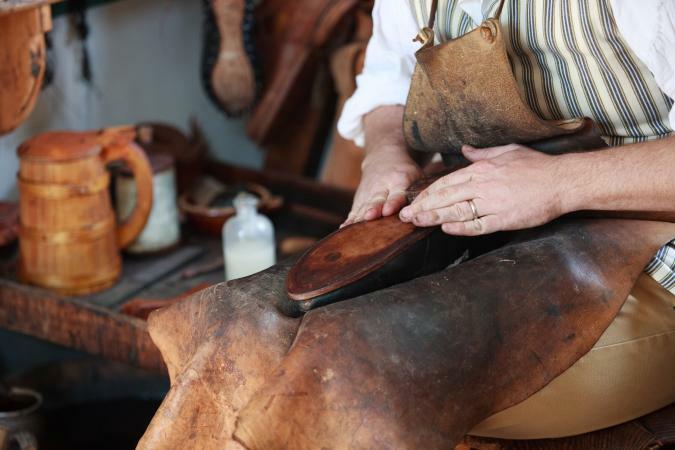 Fathers were responsible for training male children to take on the family business or trade. Daughters could rely on their fathers to play a role in finding appropriate suitors to court. If the courtship went well, fathers would provide consent to marry. The role of mothers in colonial families varied based on the family's wealth. For poorer and rural families, mothers played a large role in raising the children and completing the basic chores of the household, such as cooking, cleaning and doing the laundry. Also, if the family owned a farm, many mothers had to take on some of the work such as planting and tending to crops and taking care of the animals on the farm. Mothers living in urban areas and with wealthier incomes often spent less time with their children and relied on wet nurses and nannies to take care of the basic needs of the children. 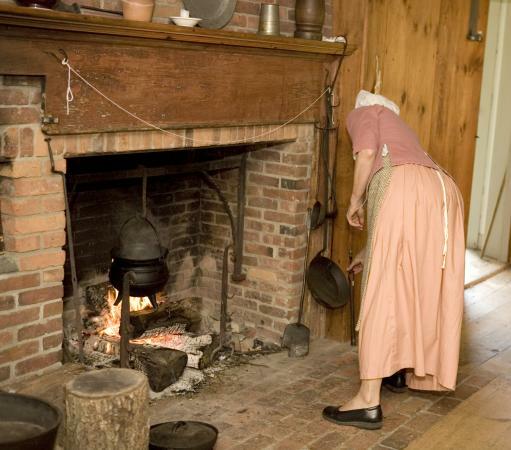 Instead, these mothers spent time tending to their husbands, arranging social engagements, reading and overseeing the general activity of the household. 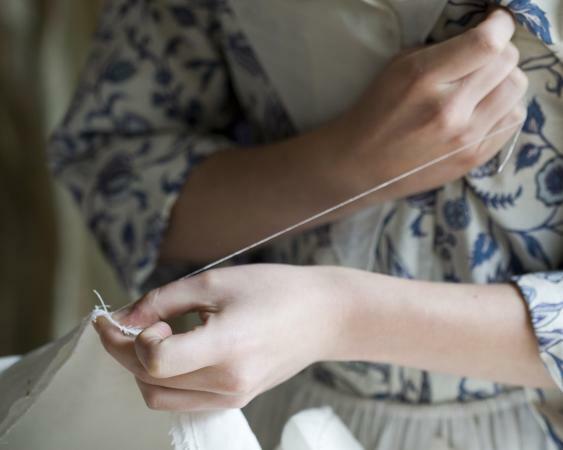 No matter their social class, all mothers engaged in skills like knitting and sewing. A mother's role was also to be supportive of her husband. Women were expected to follow the guidance and rules of their husbands and were often defined by their husbands' successes and failures. Single mothers were not common during colonial times. Widowed women were expected to remarry. The daily life of sons depended on the family's level of income. In elite families, sons were often focused on education and were sent away to boarding schools in England for the majority of their schooling. They'd often return to take on a role within the family business. In poorer families, it was less likely for sons to attend school, particularly during planting seasons. A son was expected to help out on the farm or take on roles within the family business. If something happened to his father, a son was often the person responsible for providing for the family. 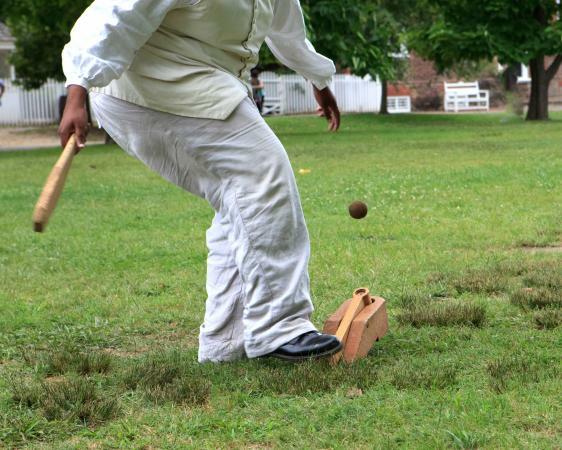 In what little free time they had, boys of all income levels would enjoy recreational activities such as an early form of bowling, called ninepins, or trap-ball, the predecessor to modern baseball. Many boys would also accompany their fathers on hunting or fishing trips. Like sons, the life of daughters varied based on their level of income. Daughters of wealthy families often spent their time in school or being tutored, enjoying social engagements and being groomed to become a woman of high society and find an acceptable husband. Poorer daughters helped their mothers with many of the household chores and learned the basics of cooking and sewing from their mothers. Many daughters from poorer homes were often tasked with caring for younger children. For recreation, all girls enjoyed playing with dolls. Wealthier girls often had more intricate porcelain or manufactured dolls while poorer girls had handmade dolls. Girls enjoyed playing games such as hoops and singing games and would also spend free time practicing their sewing skills. Extended family often played a large role in colonial family life. In poorer families, it was not uncommon for grandparents, aunts or uncles to live in the household. Wealthier families often found themselves taking in children from less fortunate family members to help with their breeding and education. Children were also frequently named after their grandparents out of respect. Grandparents specifically became advocates, advisers, motivators, and mentors for their grandchildren. They also were the transmitters of ethnic, religious, and family traditions within the household. Grandparents had unrelenting respect and boundless authority within the household. Their years of worldly experience and the fact they made it to be their age, considering the harshness of the time, often garnered respect from townspeople as well. Grandparents especially had authority over family members if they remained dependent on the grandparent's land or income. 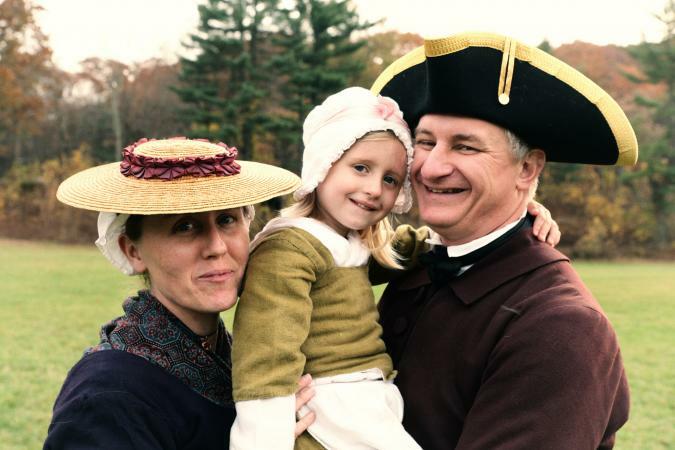 Despite the differences between the classes, the foundation of the modern American family was born out of these family structures during the Colonial period. While daily routines have changed a lot, several American family values, such as teaching discipline and religious values, have remained constant.